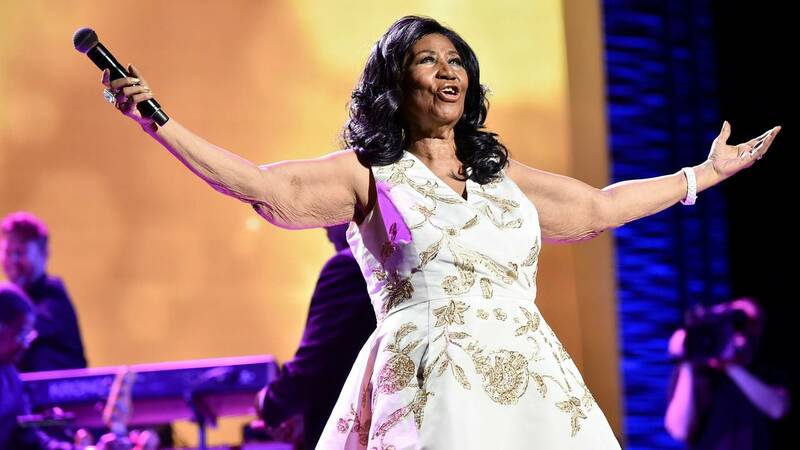 Aretha Franklin performs onstage at the "Clive Davis: The Soundtrack of Our Lives" Premiere Concert during the 2017 Tribeca Film Festival at Radio City Music Hall on April 19, 2017 in New York City (Theo Wargo/Getty Images for Tribeca Film Festival). 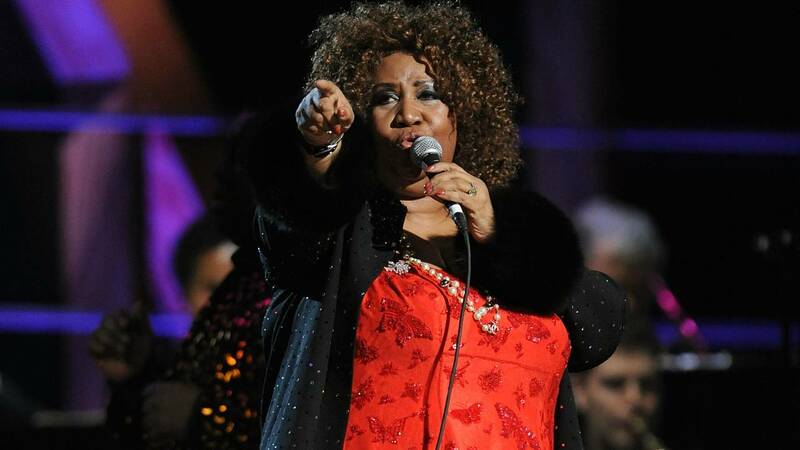 Aretha Franklin, the undisputed “Queen of Soul” died Thursday at the age of 76 from advanced pancreatic cancer. 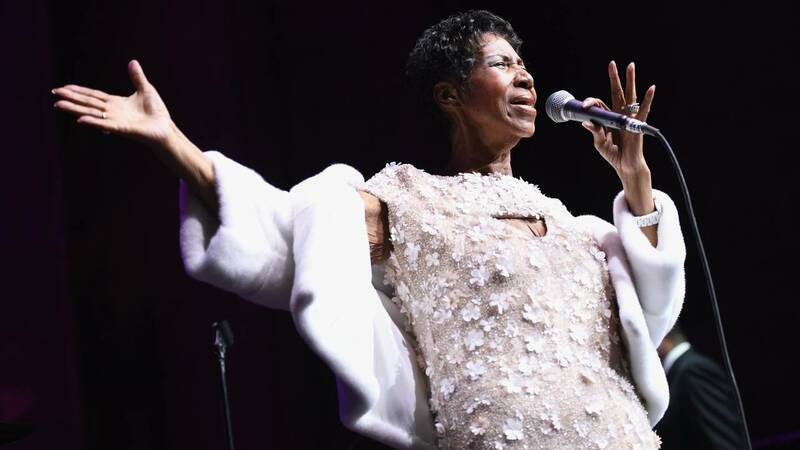 Franklin sang with matchless style on such classics as “Think,” ″I Say a Little Prayer” and her signature song, “Respect,” and stood as a cultural icon around the globe. 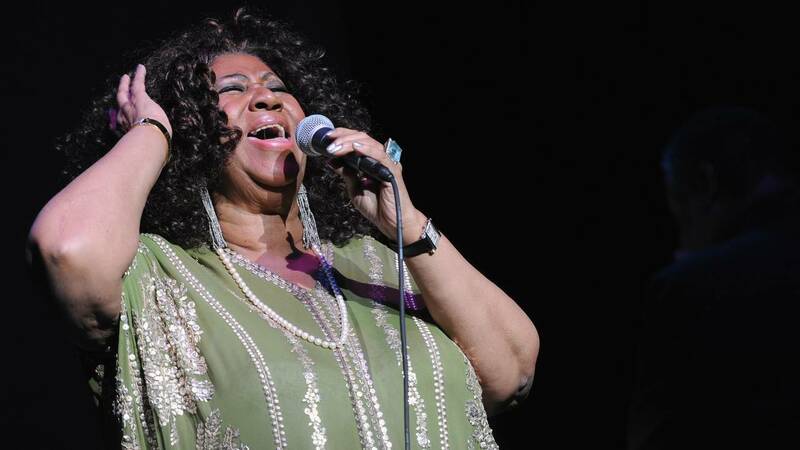 A publicist told The Associated Press through a family statement that Franklin died at 9:50 a.m. at her home in Detroit. Let’s take a look back at some classic moments over the past few decades of Franklin’s career. 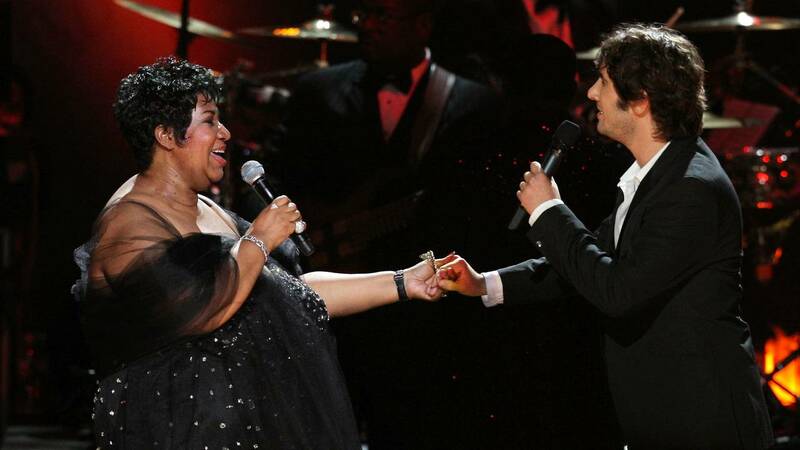 Aretha Franklin and Josh Groban perform during the “Mandela Day: A 46664 Celebration Concert” at Radio City Music Hall on July 18, 2009 (Michael Loccisano/Getty Images). 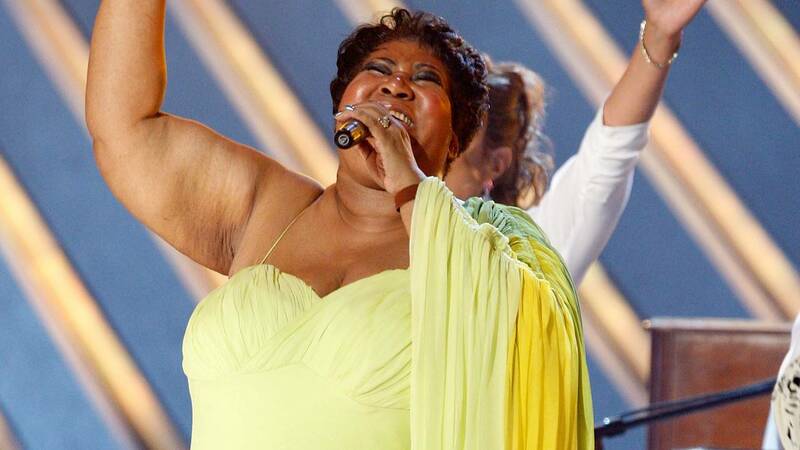 Franklin sings onstage at the 50th annual Grammy awards at the Staples Center on Feb. 10, 2008 (Kevin Winter/Getty Images). 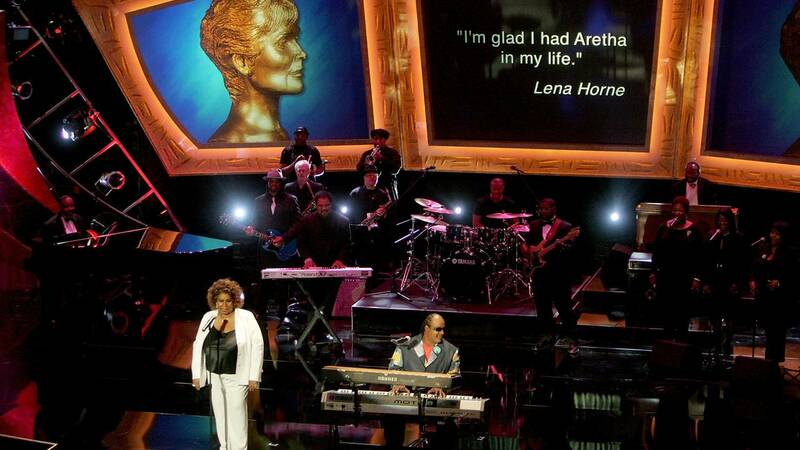 Franklin, at left, and Stevie Wonder entertain at the 10th Annual Soul Train Lady of Soul Awards held at the Pasadena Civic Auditorium on Sept. 7, 2005 (Kevin Winter/Getty Images). She recorded hundreds of tracks and had dozens of hits over the span of a half century, including 20 that reached No. 1 on the R&B charts. Shown left to right are Clive Davis with Franklin, Angie Stone, and Justin Timberlake at Clive Davis' pre-Grammy Gala at the Regency Hotel's Grand Ballroom Feb. 22, 2003 (Frank Micelotta/Getty Images). Her reputation was defined by an extraordinary run of top 10 smashes in the late 1960s. 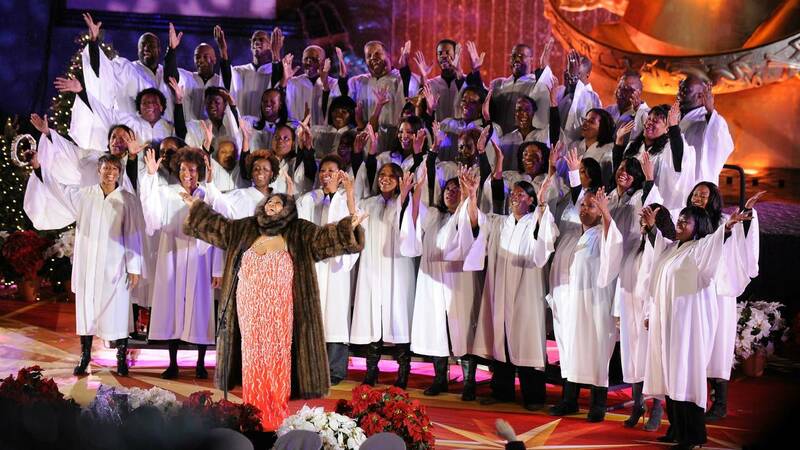 Franklin sings at the Rockefeller Center Christmas tree lighting Dec. 2, 2009 in New York City (Bryan Bedder/Getty Images). 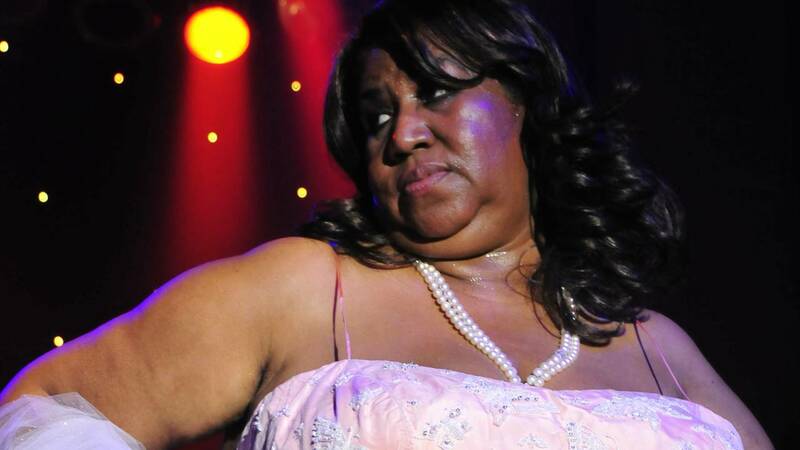 The Queen of Soul performs at The Fox Theatre on March 5, 2012 in Atlanta (Rick Diamond/Getty Images for The Fox Theatre). 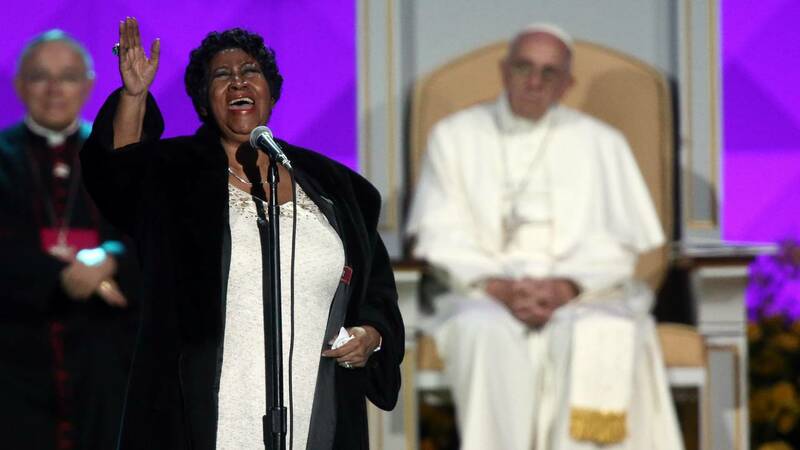 Fellow singers bowed to her eminence and political and civic leaders treated her as a peer. The Rev. 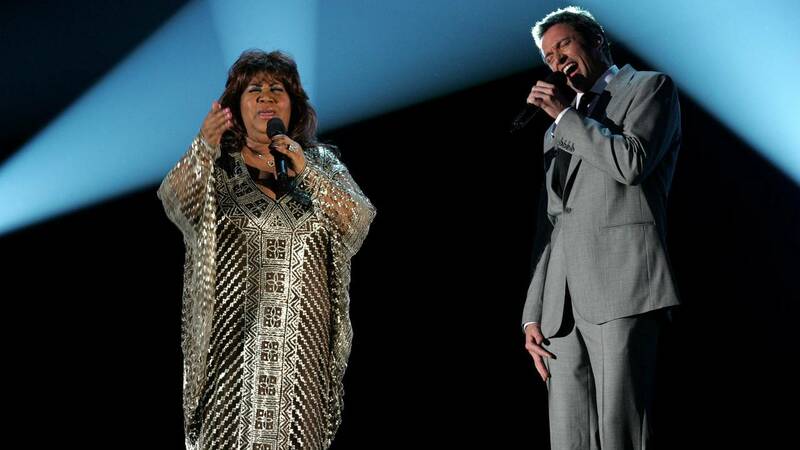 Martin Luther King Jr. was a longtime friend, and she sang at the dedication of King’s memorial, in 2011. She performed at the inaugurations of Presidents Bill Clinton and Jimmy Carter, and at the funeral for civil rights pioneer Rosa Parks. 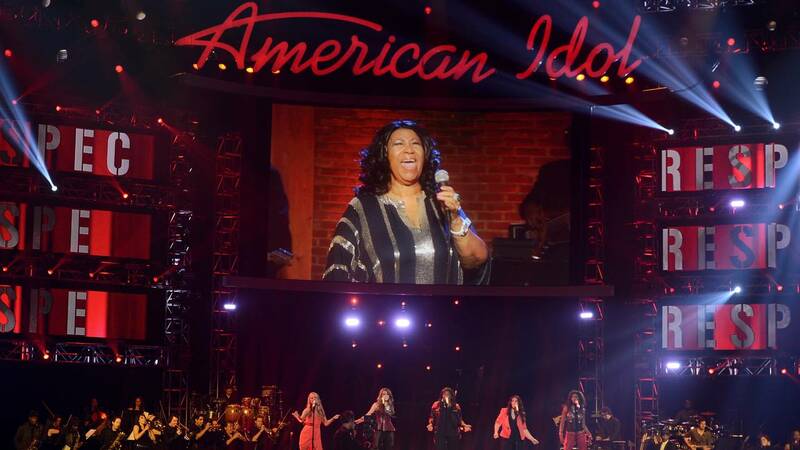 Here’s Franklin via satellite during Fox's “American Idol 2013” finale results show May 16, 2013 in Los Angeles (Kevin Winter/Getty Images). 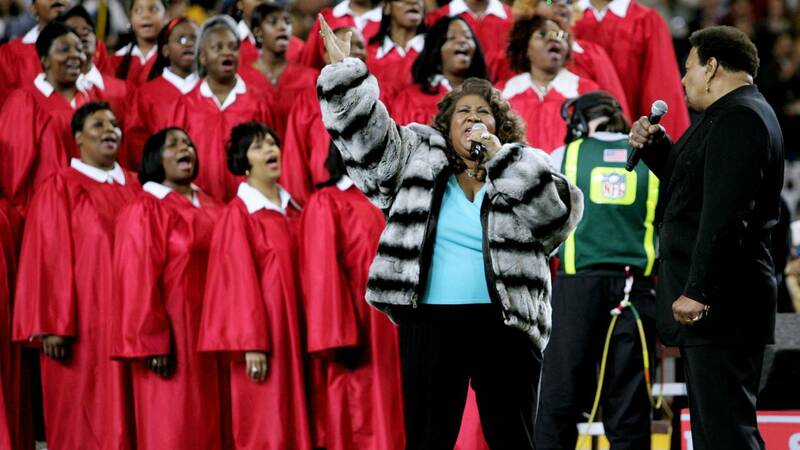 Franklin and Aaron Neville perform the national anthem prior to the start of Super Bowl XL at Ford Field on Feb. 5, 2006 in Detroit (Harry How/Getty Images). 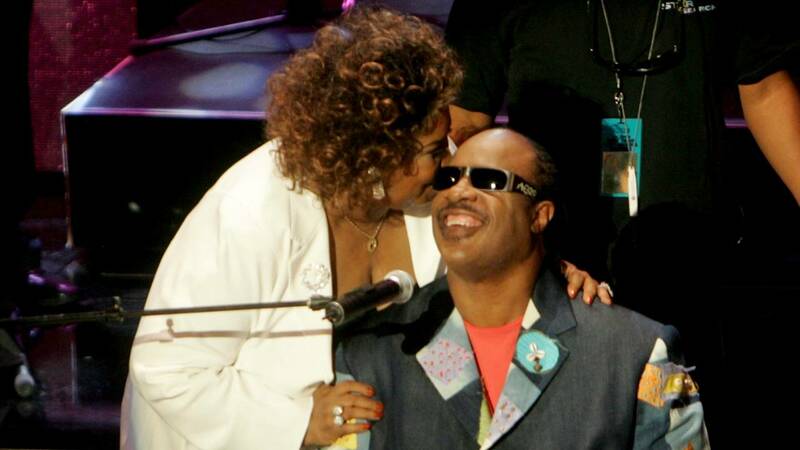 Franklin and Stevie Wonder sing at the 10th Annual Soul Train Lady of Soul Awards on Sept. 7, 2005 in Pasadena, California (Kevin Winter/Getty Images). 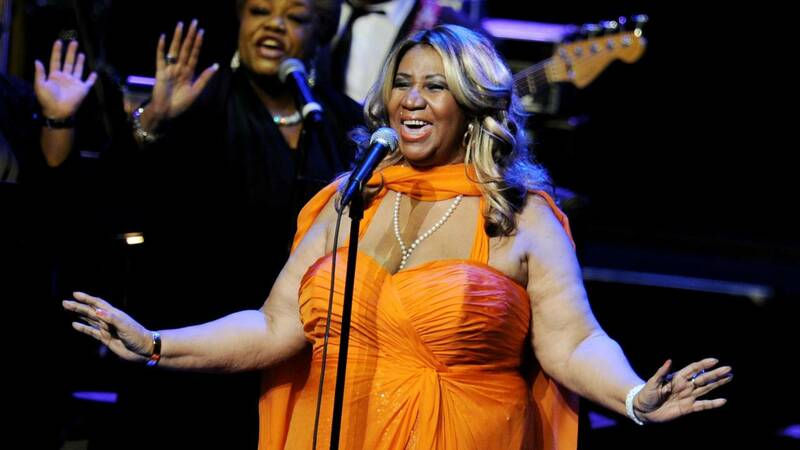 Here’s Franklin at Radio City Music Hall on February 17, 2012 (Jamie McCarthy/Getty Images). In a 2004 interview with the St. Petersburg (Florida) Times, Franklin was asked whether she sensed in the ’60s that she was helping change popular music. 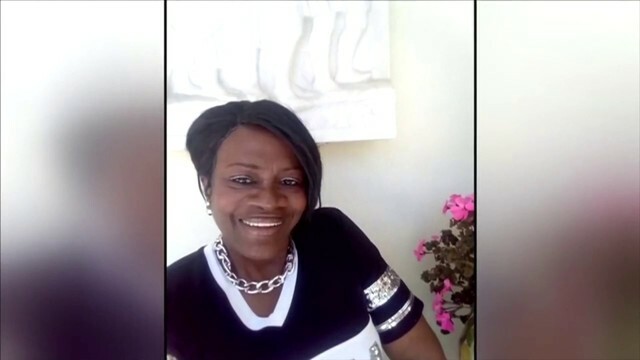 “Somewhat, certainly with ‘Respect,’ that was a battle cry for freedom and many people of many ethnicities took pride in that word,” she answered. “It was meaningful to all of us." Franklin receives the Medal of Freedom from then-President George W. Bush in a ceremony at the White House on Nov. 9, 2005 (Mark Wilson/Getty Images). 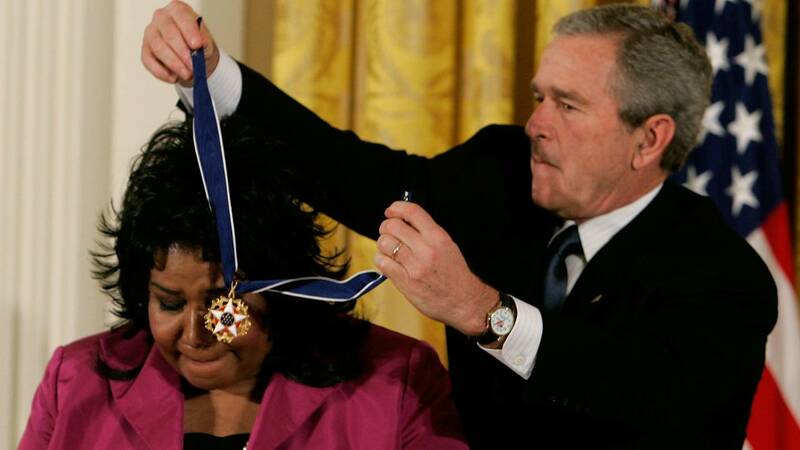 President George W. Bush awarded her the Presidential Medal of Freedom, the nation’s highest civilian honor, in 2005. Franklin performs at the Festival of Families as Pope Francis looks on, Sept. 26, 2015 in Philadelphia (Carl Court/Getty Images). At a time of rebellion and division, Franklin’s records were a musical union of the church and the secular, man and woman, black and white, North and South, East and West. 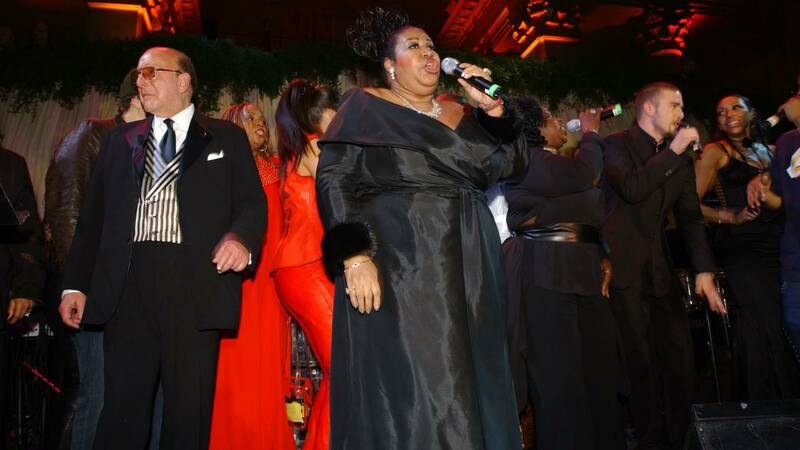 Franklin sings at the inauguration of Barack Obama as the 44th President of the United States, Jan. 20, 2009 (Mark Wilson/Getty Images). 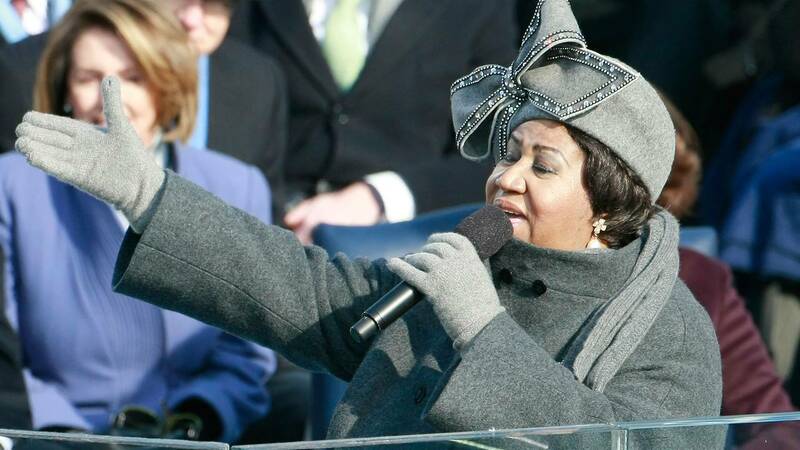 Franklin’s best-known appearance with a president was in January 2009, when she sang “My Country ’tis of Thee” at Obama’s inauguration. She wore a gray felt hat with a huge, Swarovski rhinestone-bordered bow that became an Internet sensation and even had its own website. 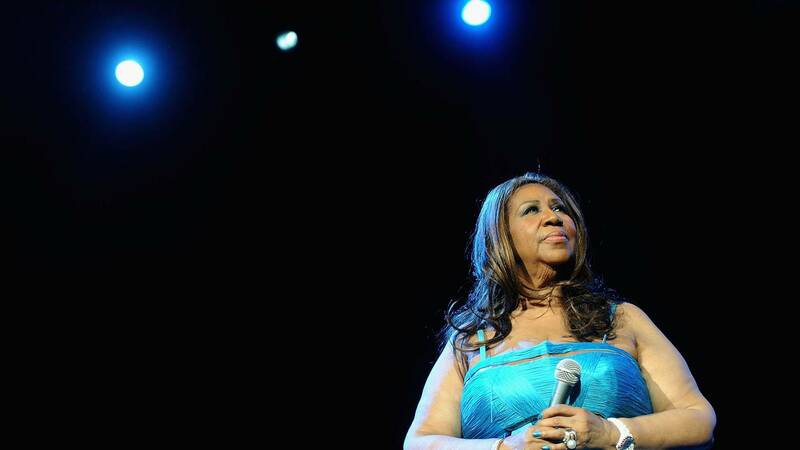 Here’s Franklin at the 25th Anniversary Rock & Roll Hall of Fame Concert at Madison Square Garden on Oct. 30, 2009 (Stephen Lovekin/Getty Images). Her popularity faded during the 1970s despite such hits as the funky “Rock Steady” and such acclaimed albums as the intimate “Spirit in the Dark.” But her career was revived in 1980 with a cameo appearance in the smash movie “The Blues Brothers” and her switch to Arista Records. Franklin was featured at an event benefiting Ross School's programs and scholarships Aug. 23, 2008 (Eugene Gologursky/Getty Images for Ross School). Franklin collaborated with such pop and soul artists as Luther Vandross, Elton John, Whitney Houston and George Michael, with whom she recorded a No. 1 single, “I Knew You Were Waiting (for Me).” Her 1985 album “Who’s Zoomin’ Who” received some of her best reviews and included such hits as the title track and “Freeway of Love." Franklin delivers the national anthem before Game 5 between the Detroit Pistons and the Los Angeles Lakers in the 2004 NBA Finals (Jed Jacobsohn/Getty Images). Critics consistently praised Franklin’s singing but sometimes questioned her material; she covered songs by Stephen Sondheim, Bread, the Doobie Brothers. 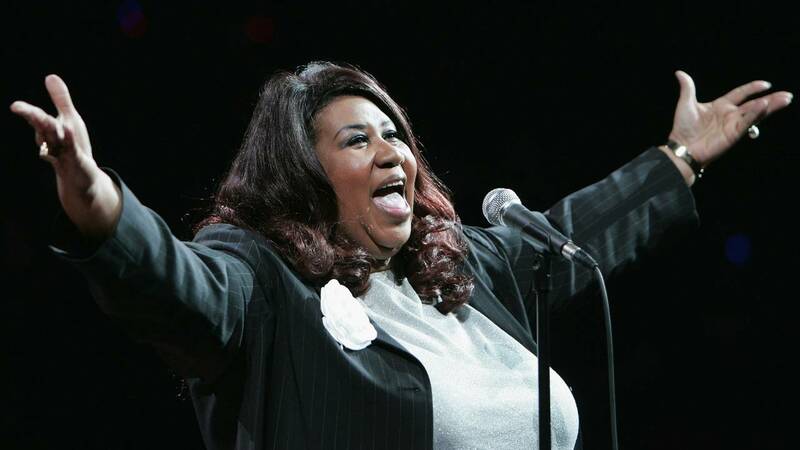 For Aretha, anything she performed was “soul." Franklin performs at the Nokia Theatre L.A. Live on July 25, 2012 (Kevin Winter/Getty Images). From her earliest recording sessions at Columbia, when she asked to sing “Over the Rainbow,” she defied category. 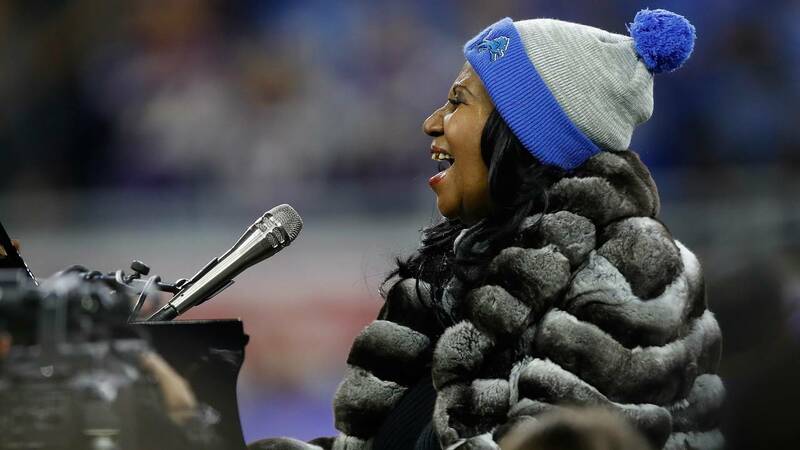 Franklin sings the national anthem at the start of the Detroit Lions and the Minnesota Vikings game at Ford Field on Nov. 24, 2016 (Gregory Shamus/Getty Images). Here’s Franklin onstage at an event put on by the Elton John AIDS Foundation on Nov. 7, 2017 (Dimitrios Kambouris/Getty Images). Franklin and actor Hugh Jackman at the 59th Annual Tony Awards on June 5, 2005 (Frank Micelotta/Getty Images). “Music is my thing, it’s who I am. I’m in it for the long run,” she told The Associated Press in 2008. “I’ll be around, singing, ‘What you want, baby I got it.’ Having fun all the way." 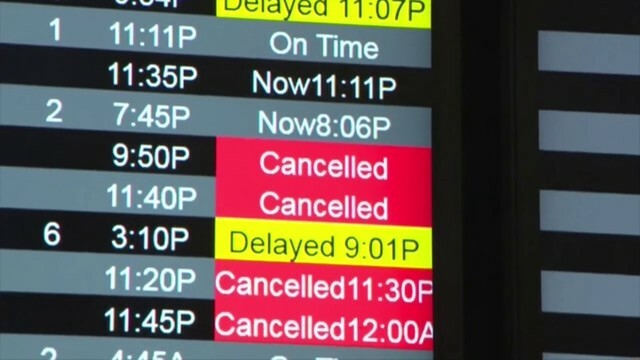 Writing, reporting and information by The Associated Press.